Our first Spotlight of 2018, and in fact EVER, is on Birmingham-based indie rockers KARKOSA! 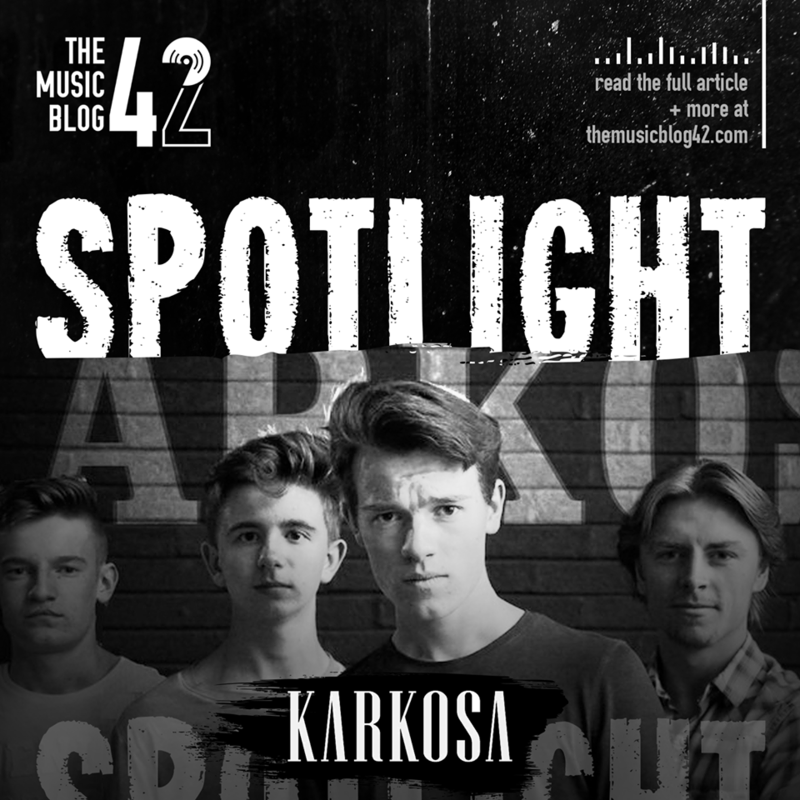 KARKOSA, one of the brightest talents in the unsigned music scene, formed in 2014 in Birmingham, with help from brothers Michael and Jack Warnock. After recruiting three other band members: Tom Rushton, Ryan Trott and Will Clews, the band went about writing and recording new material instantly. The band have cited Catfish and the Bottlemen and The Amazons as inspirations for their music, and it really shines through in the four tracks they’ve released so far. Their intricate melodies and tight vocals were an instant hit with us at TMB42 and we are excited with what the band has to offer in 2018! The band released debut track The Devil’s Greatest Trick in late 2016, made even better with the rampant guitar riff that pulsates throughout the four-minute belter. Three releases followed after that with Sheffield and Monarchy all showing off the band’s extraordinary ability in writing a memorable indie rock track. Their latest track Where The River Flows is an insanely good track, a track you just really want to move to, and we’re guessing sounds absolutely INCREDIBLE live. Lads, if you ever play near Suffolk, give us a shout! Do you want your music to be featured in our next Spotlight? Send your music to us by email: themusicblog42@gmail.com. We’d love to listen to it!